White Sage corresponds with the element of Air, the planet Jupiter, and is one of the most utilized herbs in cleansing and purification rituals. Dispersing negative energy and vibrations this herb aids in healing by creating a lighter environment. Science has even discovered that burning White Sage may reduce the presence of certain bacteria in the air. It may also aid in the manifestation of protection and prosperity. 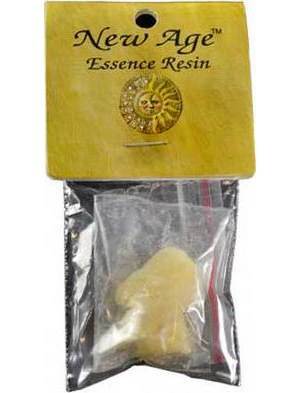 This is a 5 gram package of resin that may be burned as is upon charcoal, ground and combined with other powders, as well as added to sachets or other magical workings.